Traditionally, men caught fish and women collected shellfish and other shallow-dwelling creatures which could be harvested without canoes. 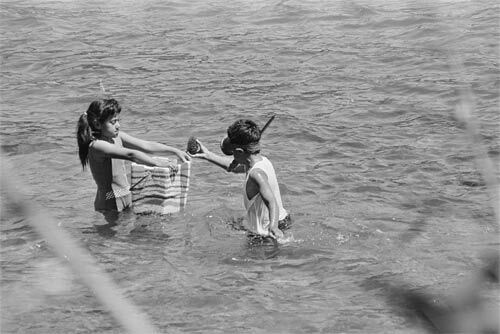 At low tide, families still collect kina (sea urchins) and pāua from rocky shores, and species such as pipi are taken from mudflats and sand flats. Māori conserved these resources with restrictions on seasonal take, and rules about harvesting some species. For example seafood was collected on a rotational basis, and fish and shellfish were only gutted above the high-tide mark.